Holocaust survivor Sam Solasz founded the meat butchering empire "Master Purveyors." At 88, Sam Solasz is still going strong and working 80 hours a week — thanks to butchering. Solasz, the owner of Master Purveyors in the South Bronx, says the trade helped him survive the Holocaust. His harrowing story is featured in the new book “Food and the City” by Ina Yalof. In 1928, he was born to a large Orthodox Jewish family in Bialystok, Poland. The city had a vibrant Jewish community, and his father ran a successful butcher business, servicing Jews and non-Jews. “It was a happy, happy life,” says the silver-maned octogenarian in a still-thick Yiddish accent. But life changed suddenly in 1939, when armed Ukranians knocked on the family’s door and forced them into the Bialystok Ghetto. “[It was] 65,000 Jews crammed into a space designed for one-tenth that number,” he recalls in Yalof’s book. He watched his neighbors being hauled off to the concentration camps, but, when his father volunteered to butcher for the German army, Solasz and some of his family members were spared. “I used to go out with my father and brothers to the slaughterhouse to feed the German army,” recalls Solasz, who was the youngest of 11. But the reprieve didn’t last. In 1942, Solasz was packed onto a train bound for Treblinka extermination camp, along with 8,000 other Jews, including one of his brothers, Shmuel, then 23. Less than two miles from the deadly destination, Solasz, then just 15, jumped out of the speeding train. His brother didn’t follow. “I ran so fast, maybe 20 miles an hour,” he says. He hid in secret encampments in the woods for 11 months. Again, his sharp knife skills were lifesaving. He would skin game for Russian partisans in exchange for temporary shelter. Solasz isn’t sure what happened to every member of his immediate family, but he was the only one to survive. 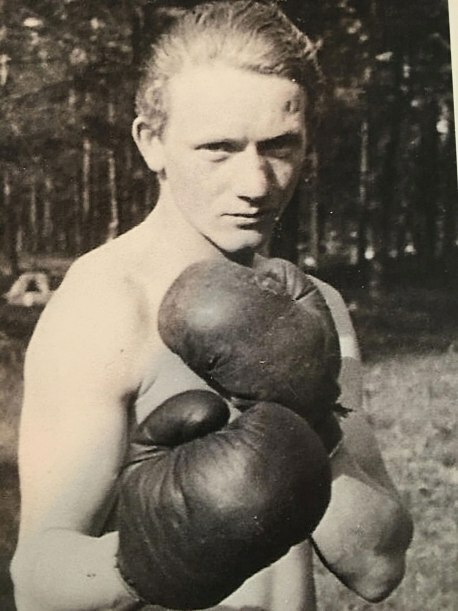 After liberation, he spent 3 years at a camp for displaced persons near Munich, where he took up boxing. A few years later, at the age of 22, he took a boat to New York. An uncle met him at the harbor. Solasz didn’t know a word of English, but his uncle volunteered him when a guy on the docks was looking for butchers. He interviewed for a job at Hygrade Food Products, in Newark, NJ, the next day and impressed them. “I was butchering the way I knew from home but they thought it was special,” he says. At Hygrade, Solasz worked on perfecting the recipe for Nathan’s famous hot dog. In 1956, he met his future wife, Rose, while ice-skating at Madison Square Garden. The next year, Solasz opened Master Purveyors in the Meatpacking District, taking big accounts, including the ‘21’ Club and the Algonquin Hotel, from Hygrade. In 1959, he started supplying to Peter Luger Steak House and has been stocking up the famous eatery with the majority of its meats ever since. In 2001, he moved Master Purveyors to The Bronx. The business has now been operating for nearly 60 years and shows no sign of slowing down. The meat trade has been good to Solasz and helped him survive.